Primary Electric Company is a name strongly trusted in and around the DFW Metroplex. 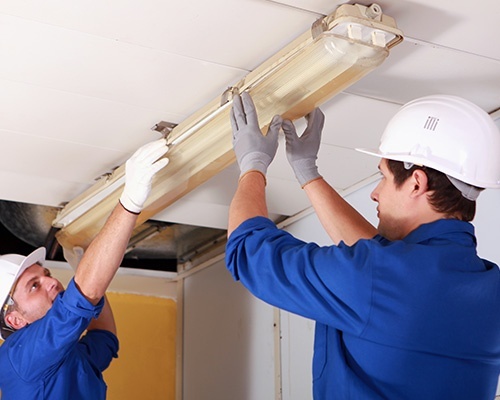 Established in 1984, our electrical company is highly regarded for consistently upholding our lifelong goal of providing quality electrical services in a timely and cost-effective manner. Our commitment to fulfilling our mission has allowed us to foster long-term relationships with a large residential, commercial, and industrial clientele, with the majority as repeat customers our electrical company has been serving for more than 30 years. Whether you are a homeowner needing a one-time electrical repair work or a business owner requiring regular electrical services, we are at your service. Our electrical company makes sure to deliver high-quality solutions, so rest assured that you will be provided with exemplary support every time you ask us for help. Give us a call, and we will gladly handle all of your electrical needs for you!